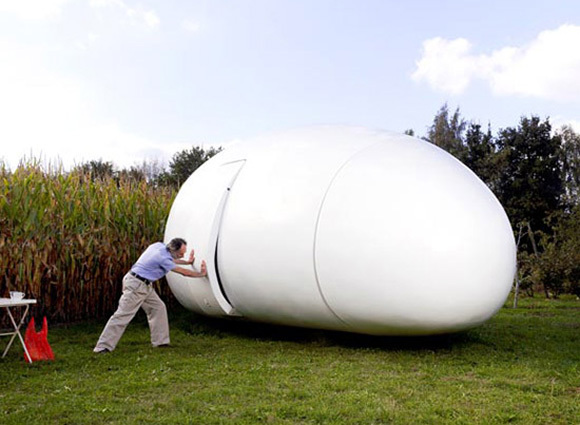 If It's Hip, It's Here (Archives): Hard Boiled Housing. 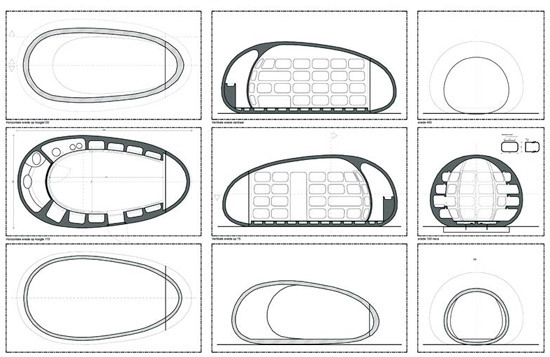 The Blob VB3 By dvmA Architects. 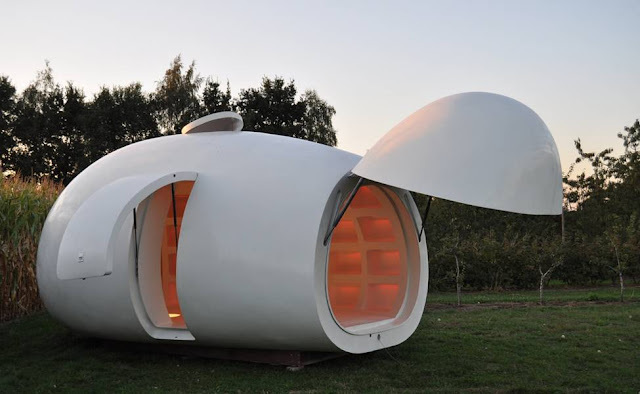 Hard Boiled Housing. 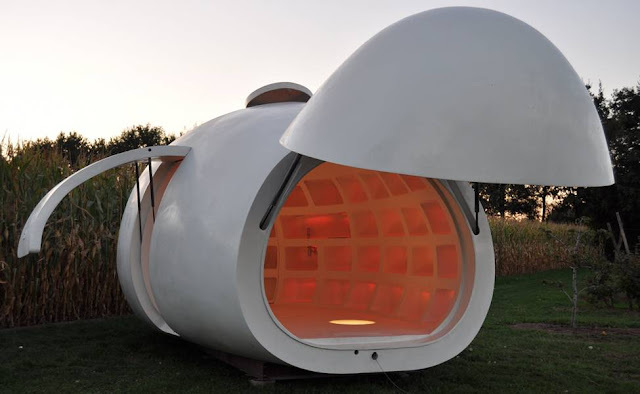 The Blob VB3 By dvmA Architects. 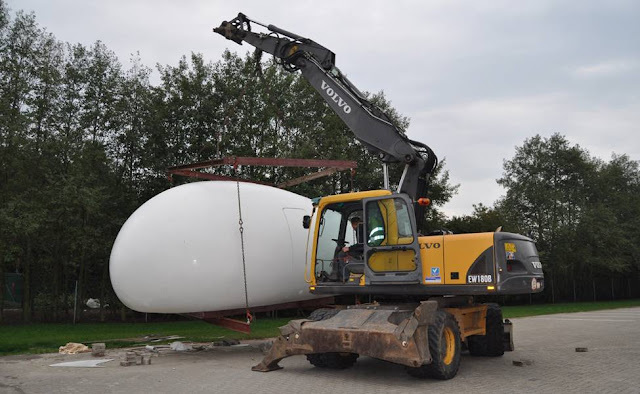 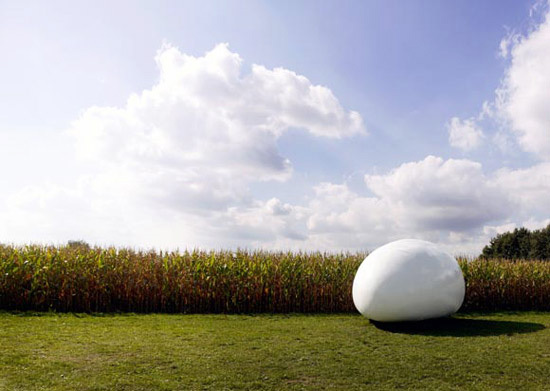 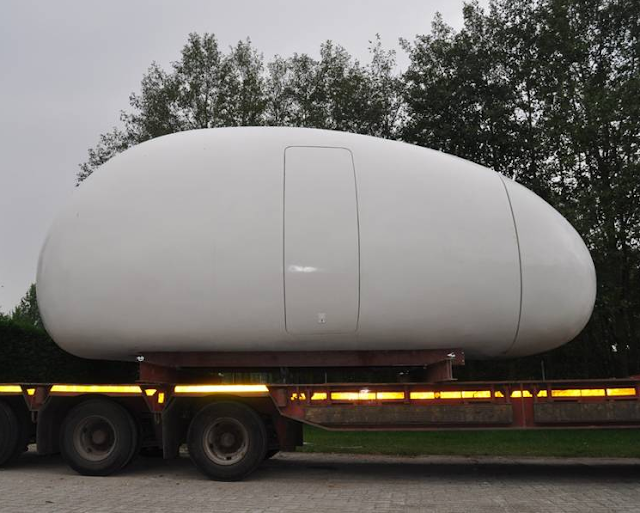 The Belgian architectural firm dmvA designed the blob VB3, a smooth white structure that resembles a hard boiled egg, as a mobile office for xfactoragencies. 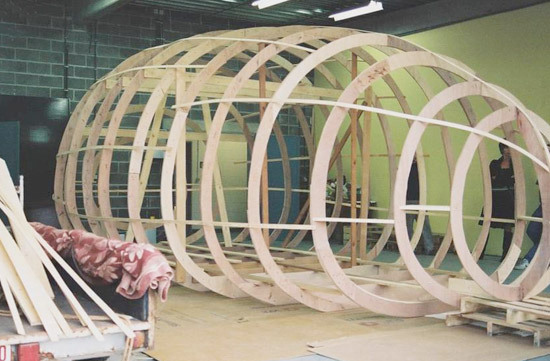 Initially, they intended to design an extension for the Xfactoragencies office, but the planned designs were repeatedly rejected by local building regulations. 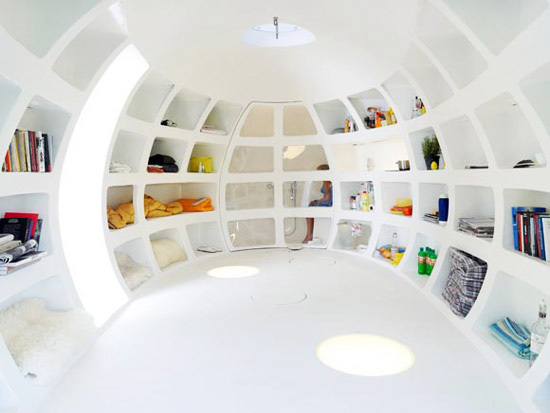 So, they decided to create a 'mobile' office which skirted around the strict building codes. 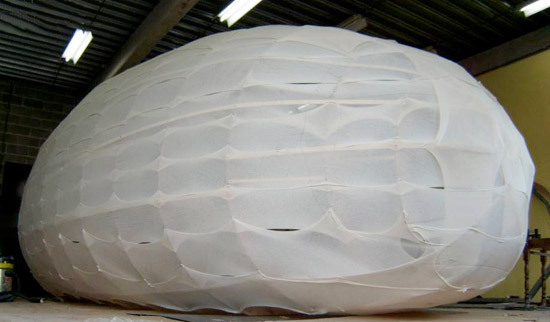 The project took 18 months and the structure is predominantly made of polyester. 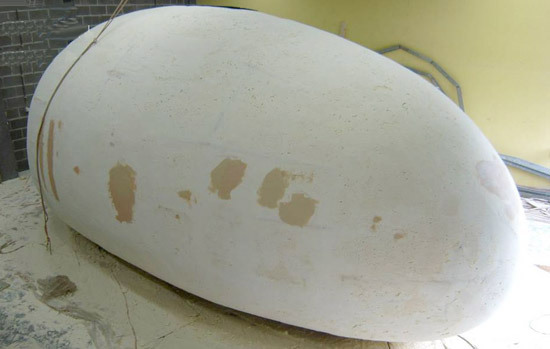 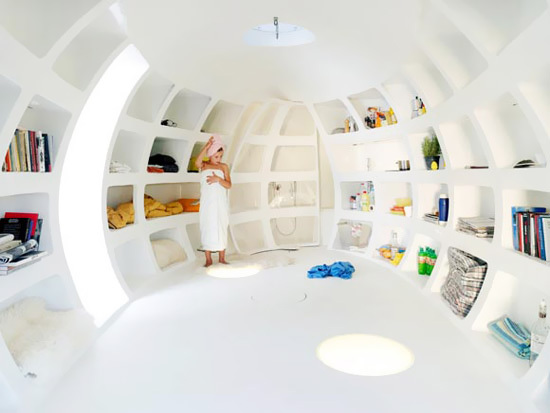 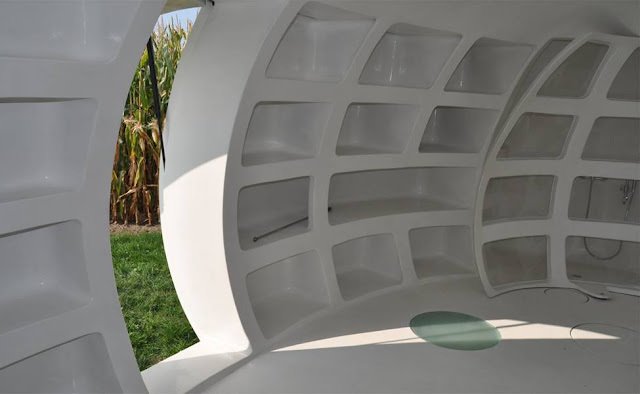 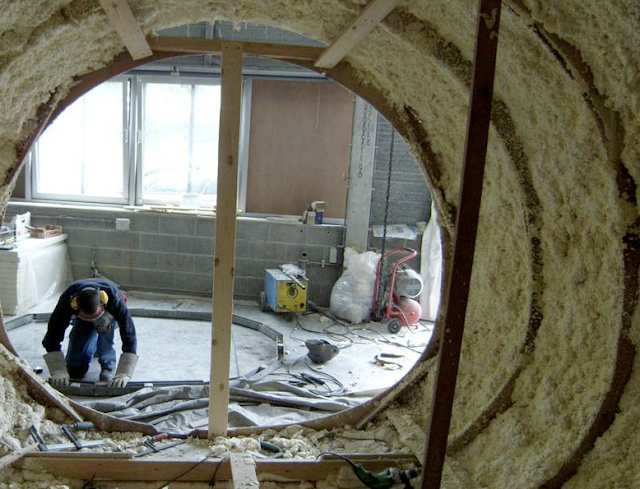 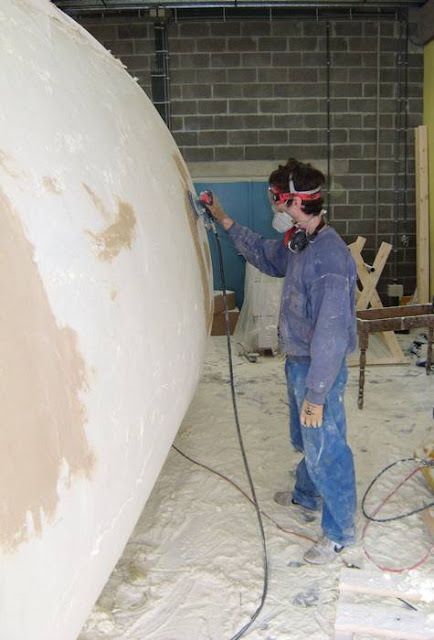 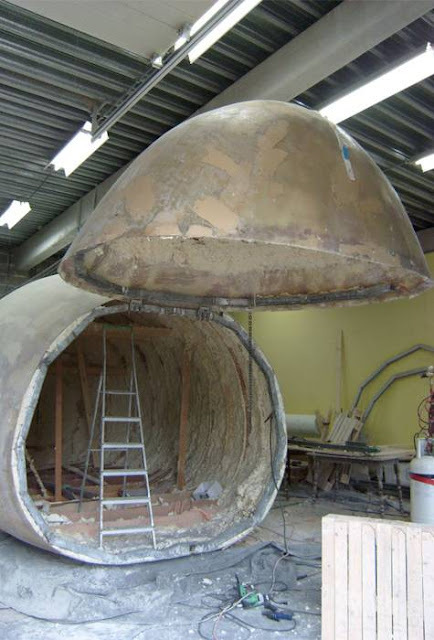 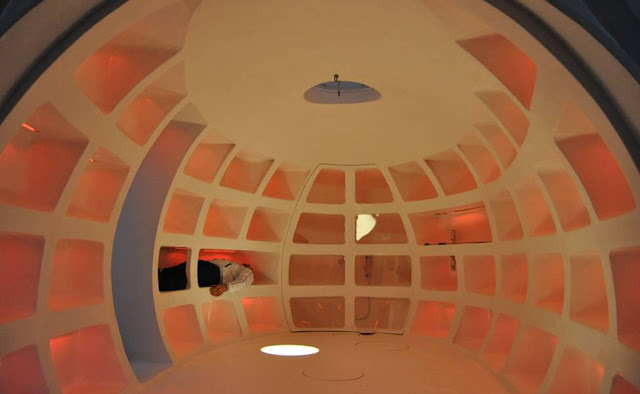 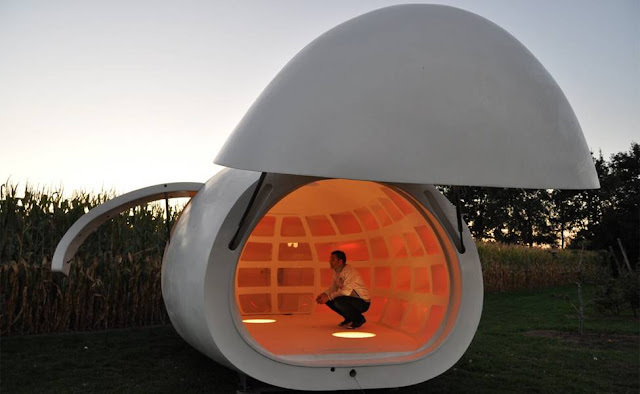 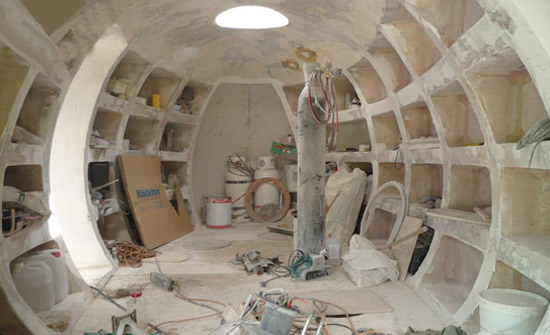 The egg-like living pod contains a bathroom, a kitchen, interior lighting, a bed and several niches for storage. 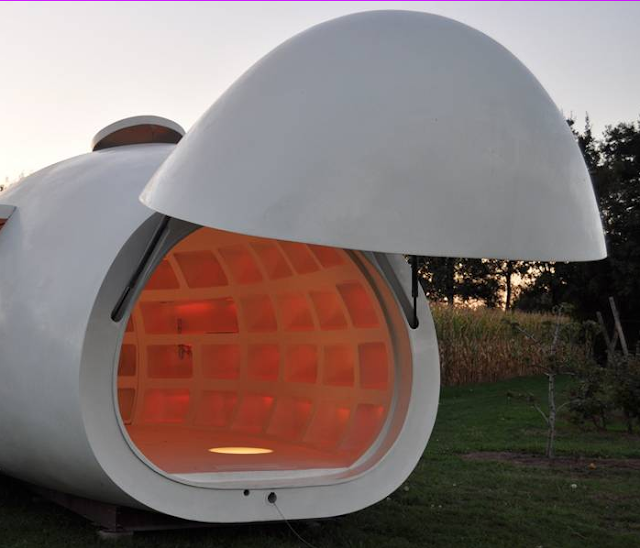 The nose can be opened automatically and functions as a kind of porch. 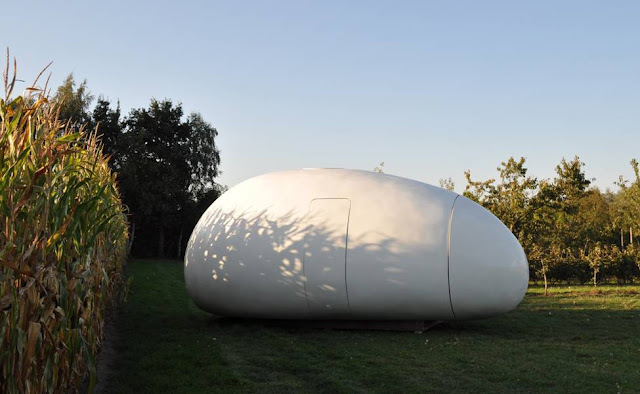 It is easily transportable and can also be used as an office, guestroom or garden house. 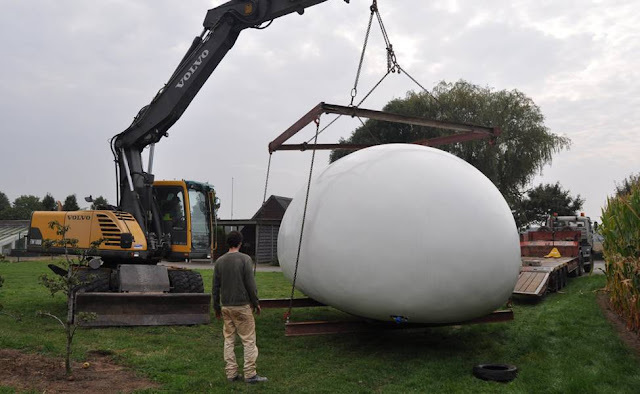 project info: blob VB3 design: dmvA principal: rini van beek/ xfactoragencies team: david driesen, tom verschueren, thomas denturck location: anywhere/ mobile general contractor: AD&S thomas denturck constructional engineer: AD&S built area: 20 m2 completion 2009 At present, the Blob is being exhibited by the Verbeke Art Foundation as an installation on 30 acres.